It doesn't have to be all play, help your children package up their creations as homemade Christmas gifts for family and friends, and you've got presents with the personal touch checked off your to-do list. Even if they don't have the perfect finish, granny will still be impressed. 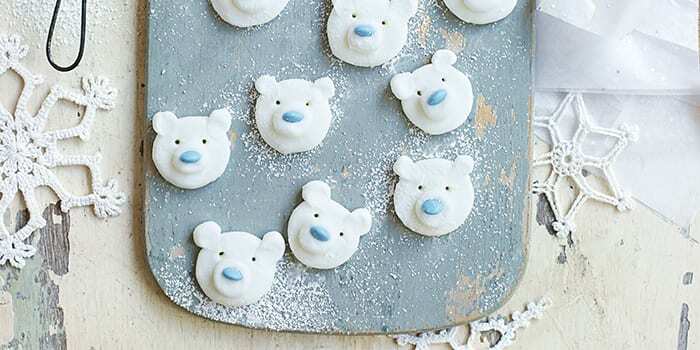 We've fallen heels over heals for these polar bear peppermint creams and the good news is that they're super simple to make. Kids will love rolling the minty paste into balls and flattening it to make bear heads, then decorating with cute little faces. Sure to bring a smile to the lucky recipient! Tailor this edible gift to anyone's tastes by playing around with colours, toppings and sweets you know they'll love. Kids can get creative and the results will leave everyone with a warm glow. 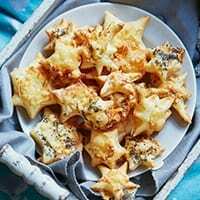 Let the kids show off their cooking skills and get in the festive spirit with these fun-looking easy cheesy treats. 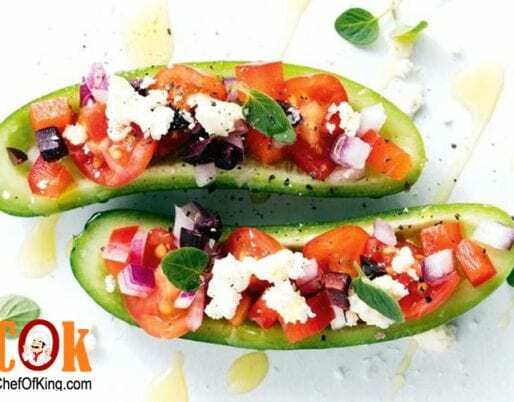 They make great party food or a lovely homemade gift. 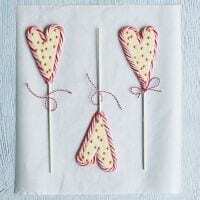 Our stunning hot chocolate stirrers are simply made in empty fromage frais pots. Let little hands get busy decorating with hundreds and thousands, mini fudge pieces, chocolate buttons or chopped-up peppermint candy canes. Or experiment with flavours like cardamom, candied peel and freeze-dried raspberries with another sophisticated stirrer recipe. Want something fun to do indoors yet don't want to create loads of mess? We think we have the perfect Christmas project. These biscuits might be sticky but no actual baking is required so there's minimum washing up. And the kids can get stuck straight into the best bit, the decorating. Everyone's a winner. 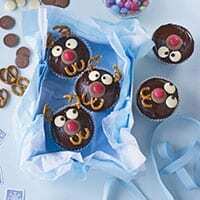 It's hard to resist Rudolph at the best of times, but if he's on the top of a chocolate cupcake then we stand no chance. Children between three and seven should be able to line the muffin tin, stir the mixture and spread the icing. From the age of seven and upwards kids should be able to make the cakes with assistance but will still need help with the oven and hot tin. All children will love decorating. Pop the decorative bits into bowls to give your kids the freedom to do the cupcakes themselves, and remember to leave some out for Santa as an extra special treat. 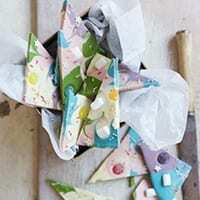 These melt-in-the-mouth shortbread triangles are easily transformed into something magical. 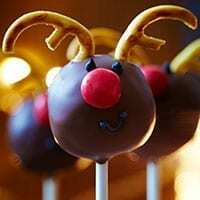 Help decorate with Smarties or other sweets and wrap the creations in cellophane bags with pipe cleaner 'reindeer' antlers. 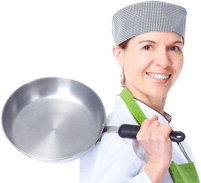 If you've got under-10s, most steps can be done independently except handling the oven and cutting out the shortbread. Over-10s can do everything by themselves if they want to – so you can relax with a cup of tea. 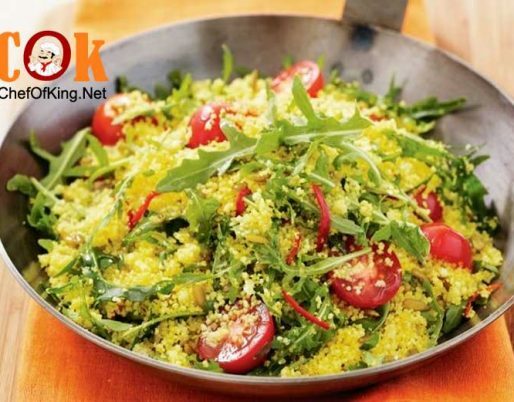 This beautifully squidgy, colourful kids recipe is the perfect way to spend a cold afternoon in the kitchen. Simply mix up Madeira cake, dried apricots and condensed milk and then shake your balls into bags of different coloured desiccated coconut… to magical effect. 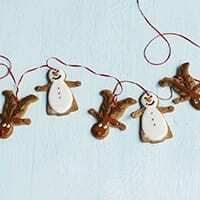 If you want a neat finish, this hanging thread of festive biscuits requires a little legwork from parents – the fondant icing might be tricky for little hands to manage. 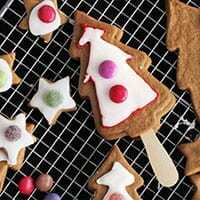 But kids will love mixing, rolling, and cutting out the biscuits, and if you buy ready-to-use tubes of coloured icing, they can design their own patterns too. 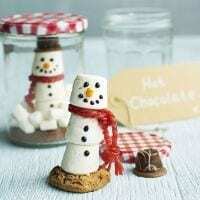 Fill empty jam jars with all the ingredients for a luxury hot chocolate, dressed up as cute marshmallow snowmen. With extra treats like a cookie to dip, marshmallows to swirl, and a chocolate for afterwards, this is one homemade edible gift that older children will love to give and receive. Oh hi there Rudolph. 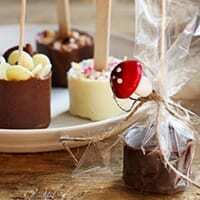 These chocolate cake pops make the perfect afternoon project for older children who want to put their creative resources to good use. You will find it's amazing what you can do with some pretzels, icing and Smarties. They also make great homemade gifts for junior bakers to give to their friends. Everyone loves a chocolate Rice Krispie cakes, but this recipe is three steps better. 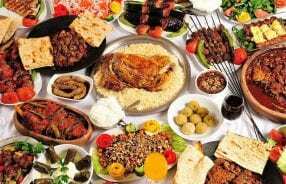 Children will love mixing up the rice puffs, chocolate, raisins and peanut and that's without mentioning the decorating. 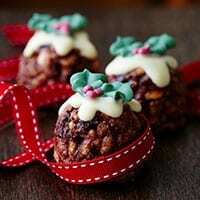 These cute puddings will be adored by everyone, so be sure to make plenty. 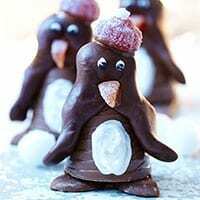 What could trump a perky chocolate penguin complete with a frosted bobble hat? We couldn't think of anything either. These charming little guys make a lovely Christmas project for kids, who can get as creative as they want with the penguins accessories. 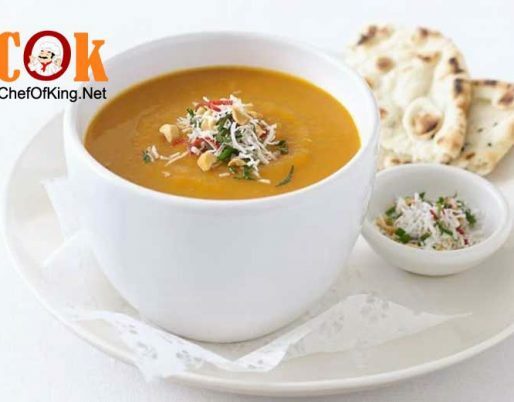 This no-cook project is bound to keep older and younger children at the table for hours. Already made cotton wool snowmen? 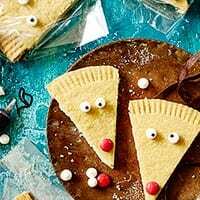 Up your game with this seriously cute recipe, which makes a lovely creative project for young children and is a big treat (whether they eat them or not). 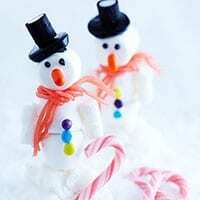 These jolly men also make lovely cake toppers or Christmas decorations, happy making! Everything tastes better when eaten off a stick, and these warm and spicy biscuits are no exception. Kids will love stamping out Christmas tree shapes and sandwiching them together. Enjoy a biscuit warm from the oven with a cup of tea, it's Christmas after all, then sit back and watch the kids get decorating. Kids, marshmallows, icing sugar and sprinkles might sound like a bit of a sticky combination, but the mess will be worth it. Kids are bound to love putting these cute Christmas cones together. Once the tricky cooking and assembling bits have been done, stand back and let them decorate with abandon. 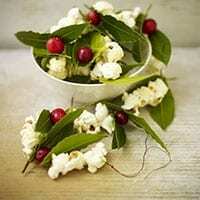 These beautiful, bay, popcorn & cranberry strings are perfect for making with older children, and will give your home a lovely, rustic, Christmassy feel. 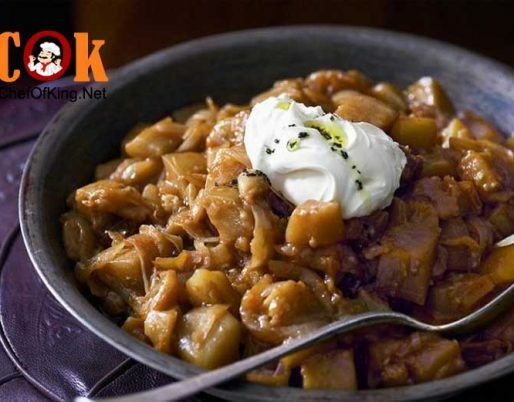 Although young and enthusiastic eaters might need to be kept at bay, as they are not for eating! 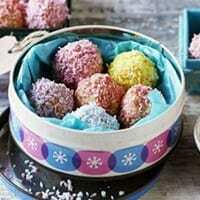 Let kids get creative rolling and coating these scrummy sweet snowballs, as they make brilliant homemade gifts. 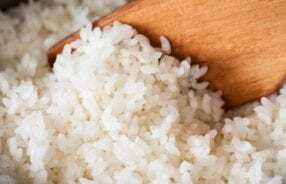 The smallest of hands should be able to help squishing the mixture into balls. Just refrain yourself and the kids from eating too many and Christmas presents for family friends will be sorted. 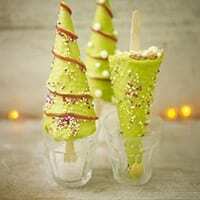 Add a bit of shimmering edible glitter into the mix and the kids will be in heaven. If the kids are still in a creative mood then let them loose with a few felt-tips on some homemade gift tags and your presents will be complete. 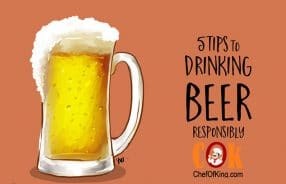 Want to keep the kids entertained without causing havoc in the kitchen? 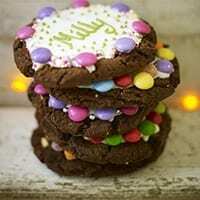 These edible name biscuits don't involve any actual baking so the kids can get stuck straight into the fun, decorating part. Help little ones ice the names of your guests on the biscuits and the kids can proudly display their works of art on the Christmas table. Fill your home with the aroma of cinnamon and spice without lots of hassle this Christmas. 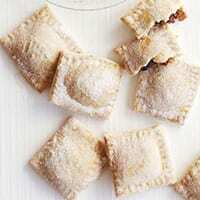 These super-simple mince pies don’t require the trouble of lining tins. They are also easy enough for small hands to pretty much go free-style once they’ve been shown the technique. 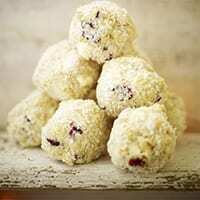 Make a great little treat for a hungry Santa on Christmas Eve too. 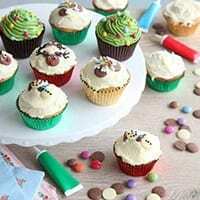 This easy-peasy cupcake recipe leaves everyone plenty of time to get stuck into creating some happy chaos. 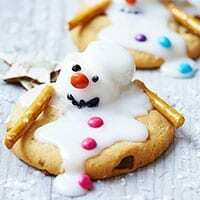 From white chocolate button snowmen to the beautifully piped Christmas trees, lots of fun is guaranteed even if the results aren’t altogether perfect. A brilliant way of getting into the Christmas spirit. These magical biscuits will transform in the oven from a heap of crushed sweets in the middle of some biscuit dough to beautiful stained glass decorations. 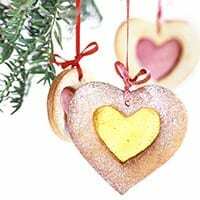 They are almost too pretty to eat, and will certainly take pride of place on the Christmas tree, you can also bundle them up in some pretty packaging as a lovely homemade present! Nothing says Christmas like the smell of cinnamon, spice and sugar. 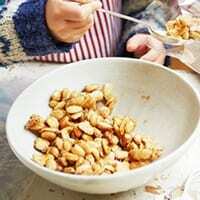 These easy roasted nuts make a moreish treat and are perfect as a small present wrapped in cellophane and tied with a bow.